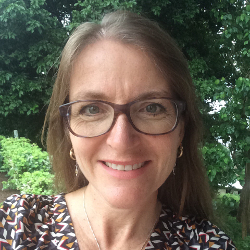 Muriel Visser has over 20 years’ consultancy experience, with particular expertise in policy analysis, programme design and preparation, evaluation and aid management, as well as technical specialisms within education, health, and HIV/AIDS. Muriel is a skilled researcher (having worked both on quantitative and qualitative studies), and has conducted various primary and secondary research studies in her areas of specialisation (including case studies, literature reviews, content analyses, and statistical and financial analyses). Muriel has led large multi-donor country programme evaluations for various bilateral and multilateral agencies, including the Performance Review of the 11th European Development Fund (EDF), UNICEF evaluation of the United Nations Girls’ Education Initiative and the Evaluation of REACH (Renewed Efforts Against Child Hunger). Muriel has provided technical analysis and inputs into education, health, and HIV/AIDS policies and strategies for international agencies/programs as well as for recipient Governments, and has worked extensively on the mainstreaming of cross-cutting issues such as gender and HIV/AIDS.